Carl Kelley: This lowlife kicked a dog. 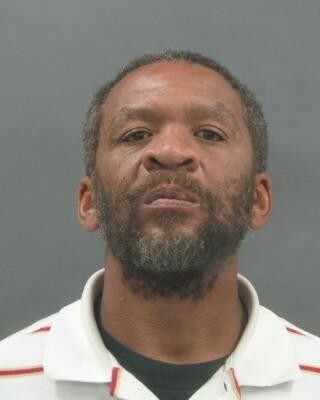 A 47-year-old St. Louis man is facing criminal charges after police say he brutally kicked a police dog. Carl Kelley had been ordered out of his home in north St. Louis by police, who hoped to question him in connection with a burglary, according to a probable cause statement filed by St. Louis Circuit Attorney Jennifer Joyce. When Kelley failed to comply, the officer sent in his K9 associate, a police dog named Beil. But when the officer found Kelley, he was kicking and hitting Beil. The circuit attorney's office has since charged Kelley with assault on a police animal, as well as one count of unlawful use of drug paraphernalia after officers found a "scorched" metal cylinder. UPDATE: We hear from a police spokeswoman that K9 Officer Beil is A-OK.